I was in Namdaemun early this week and the cityscape displayed in front of me brings me back to Manila – Luneta, in particular. Luneta is a big park in the Philippines where the Rizal Monument stands. 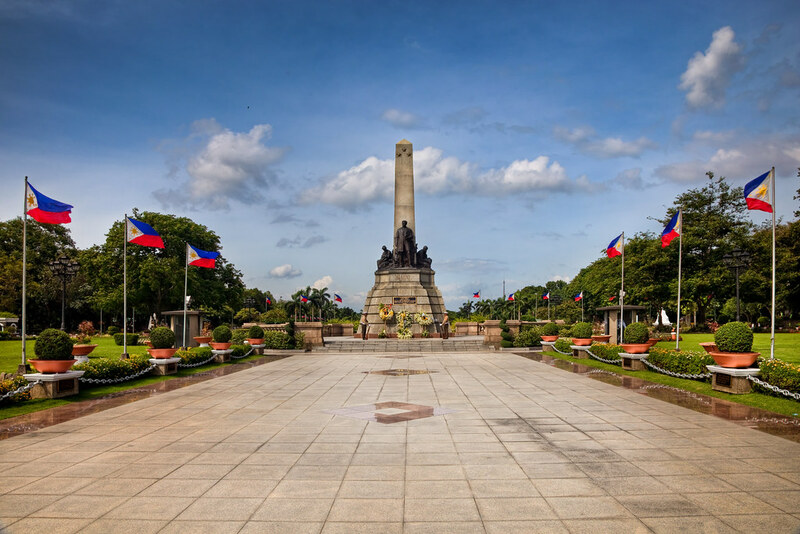 The Rizal Monument had been standing proud since 1913 in honor of the Philippines’ national hero, Dr. Jose Rizal. 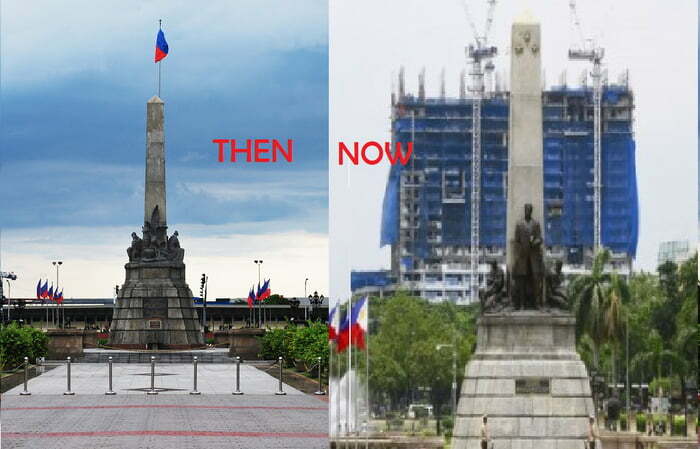 A few years back, DMCI Project Developers Inc. was granted the legal right by the City Manila to build Torre de Manila, a residential condominium, the location of which stands directly behind the Rizal Monument. Because of this, it has notoriously earned the monicker “the national eyesore”. Back to where I was standing. In front of me was the Sungnyemun Gate. This was designated as National Treasure No. 1 on December 20, 1962. You see, Sungnyemun (which means the south Gate of Seoul) was built in 1398. It forms part of the four main gates of the capital city of the Joseon Dynasty. That capital city is now what we call Seoul. An arsonist set fire to this national treasure in 2008 but the government immediately restored it. What struck me really was that the Sungnyemun Gate stands proud in the midst of the buildings around it. It doesn’t lose its charm nor its historical significance. Walking further down towards the Seoul Station, I consciously looked at the beautiful orange building that was once the Seoul Station. It now stands beside the contemporary-looking design of the new Seoul Station. The 2 buildings serve the same purpose, albeit at different times. But there they are… side by side. The beautiful architecture of the old orange Seoul Station stands out. I remember an ancient-looking gazebo at the Yoido Park that I once took a picture of with the LG Twins Tower behind it. The old and the new. They don’t antagonize each other. And I feel sad for my country. So much money wasted for legalities. There’s an opportunity for symbolic moving on halted because it is still awaiting for the Supreme Court’s final decision. Buildings got to go up in cities.. It’d be so much nicer if the towering buildings weren’t near the historic landmarks but in the middle of cities like Seoul, and Manilla, that would not work out long. As I’ve only seen Korea in its current state of the old and new coexisting, I don’t see it as so much of a problem. But I grew up in Manila pre the construction of the Torre de Manila and I’m saddened by the constant construction taking away from the beauty of the city. So long as they don’t touch Intramuros, I’ll be happy! izzy recently posted..The Blog Turns One! Love the jusxtaposition of the old and new in Korea, I think it sharply represents the huge gaps between generations right now, but, like the values of the old, I hope the traditional architecture remains fiercely protected. Shame about the statue in the Philippines! I don’t really understand, because at the top it seems like you regret that the Torre de Manila is being built, but at the end of the piece it seems your sad it is being stalled? Which is it?